As the sophistication of encryption and technical defences rises each year, so do the attacks against the people in organizations. Hence the rise in PICNIC = Problem In Chair, Not In Computer. 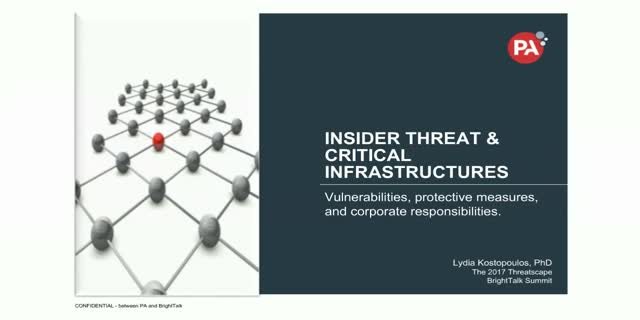 This session gives an overview of the latest insider threats facing critical infrastructures and how they can compromise air-gapped networks. It provides proactive, preventative and defensive measures to manage the risk, and concludes with a discussion of the responsibilities organizations who manage critical infrastructures have to support national security, the well-being of society and economic prosperity.